Our Reefscapers coral propagation project has a combined total of almost 5000 coral frames across both Four Seasons Resorts. Collectively the frames are providing vital structure for marine wildlife in the form of man-made reefs. 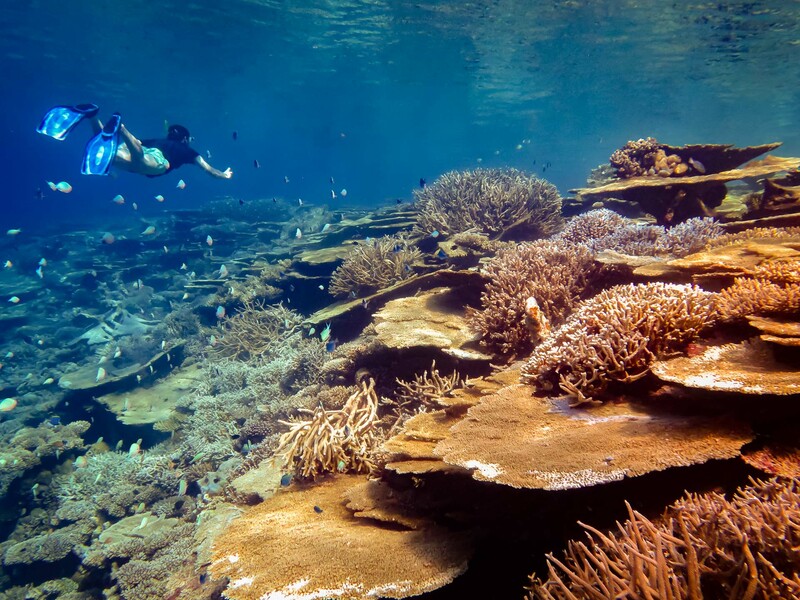 We include a variety of coral species to promote biodiversity and leave our reefs with the best chance to withstand future climate change effects in the long term. Even though we have a good working knowledge of local coral species, the only way we can identify new species or confirm the identity of known species is by using taxonomic identification keys and international publications. 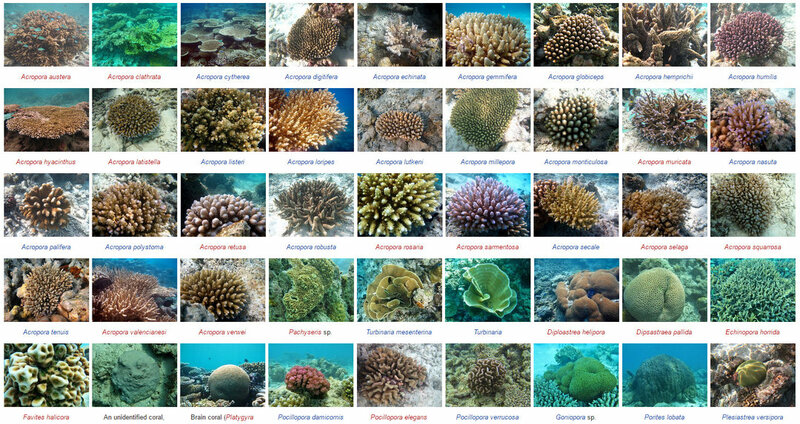 A complicating factor is that each species of coral has several different ‘morphotypes’ (variations in appearance) depending on external factors (temperature, luminosity, depth, current, location). To increase our understanding of the species of coral in the Maldives, we are starting a taxonomical identification project that uses less variable factors: genetics. This technique has not previously been performed in the Maldives, and would enable the genetic analysis of the corals and symbiotic algae (zooxanthellae). We have been in contact with Dr Jean-Francois Flot, a renowned expert in the field of species delimitation (demarcation). Along with several researchers, Dr Flot is currently working on the molecular taxonomy of corals in his laboratory at the Université Libre de Bruxelles (ULB). Our new marine biology intern Stephen Bergacker (a student from HELHa agronomic school, Belgium) has already met Dr Flot and is trained in the project’s techniques. Dr Flot has kindly offered his expertise, and will be visiting Landaa in May to meet the Seamarc team and participate directly in the field. We are also planning guest activities and awareness events, along with the unique opportunity to meet a world-renowned coral expert at work in his natural habitat. Acropora humilis, A. gemmifera, A. secale, A. digitifera, A. millepora, A. samoensis, A. retusa. Pocillopora damicornis, P. meandrina, P. verrucosa. We will collect several samples of each of these coral species, all from different colonies and with diverse colours and morphology in order to gather unbiased and wide-ranging data. 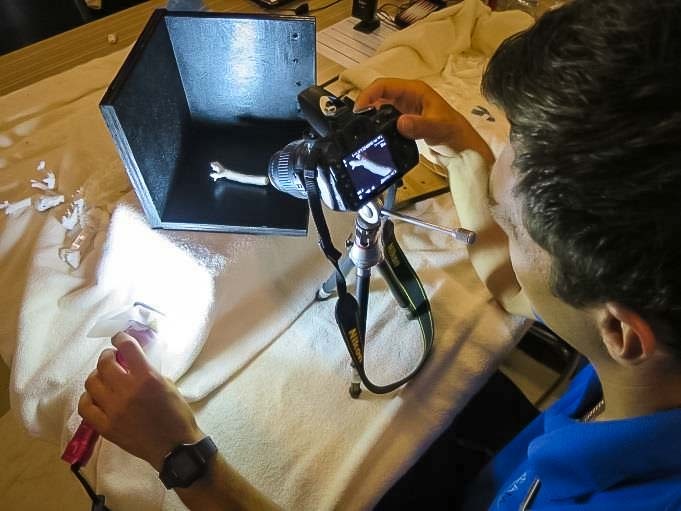 In addition to field photographs, the depth and geographic coordinates of each specimen will be recorded to ensure traceability. The coral samples will be dipped in ‘CHAOS buffer solution’ to conserve the DNA and allow safe transportation to Belgium for analysis. Following his internship period, Stephen will return to Dr Flot’s lab in Belgium to perform various analytical experiments on the DNA extraction samples (Polymerase Chain Reactions [PCR]; sequencing and analysis of several genomic regions). This study will allow us to start delimitating the species of corals in the Maldives, thus enabling us to identify our corals by knowing the boundaries that separate different species. Results will be extrapolated to the morphology of each given sample, which will enable future identification of analysed morphotypes. Furthermore, this project will allow us to identify hybrids and symbiotic algae that have the potential of being more resistant to climate change than others. This sort of information has not yet been gathered in the Maldives and would help us to better understand our corals and increase the success of our propagation programme. Coral expert Professor Flot arrived from Belgium to help with the Coral DNA Analysis Project. 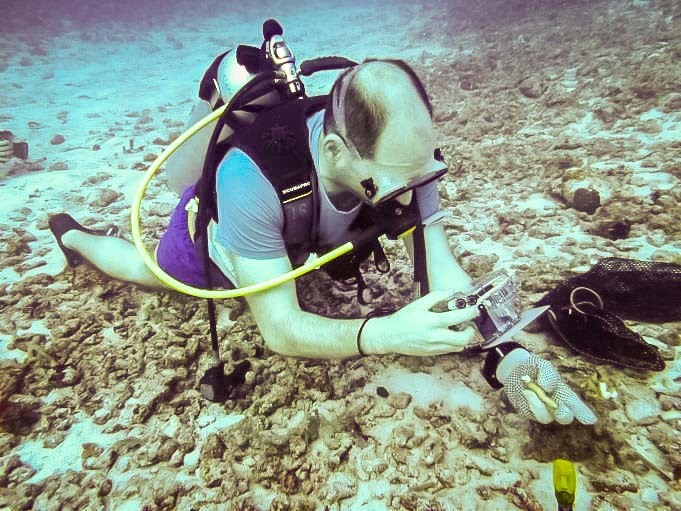 We have collected more than 200 coral samples from 12 different locations around Baa Atoll. The 30 different species will be DNA-analysed in Belgium at the Universite Libre de Bruxelles by Dr. Flot and Stephen Bergacker (our intern). 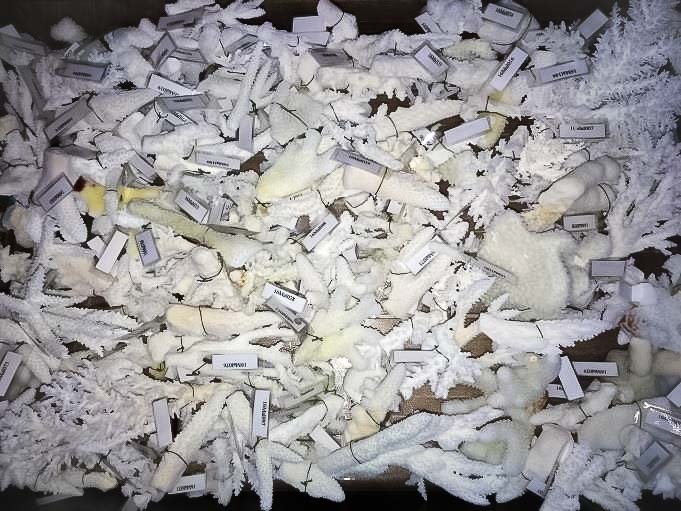 Each sample has been photographed in its natural environment, bleached, labelled and re-photographed in macro. The results of this study will then be published in several articles, describing Acropora and Pocillopora species in Baa Atoll. All the steps necessary to get DNA readings have now been completed for all Acropora samples collected in Landaa Giraavaru during 2016. 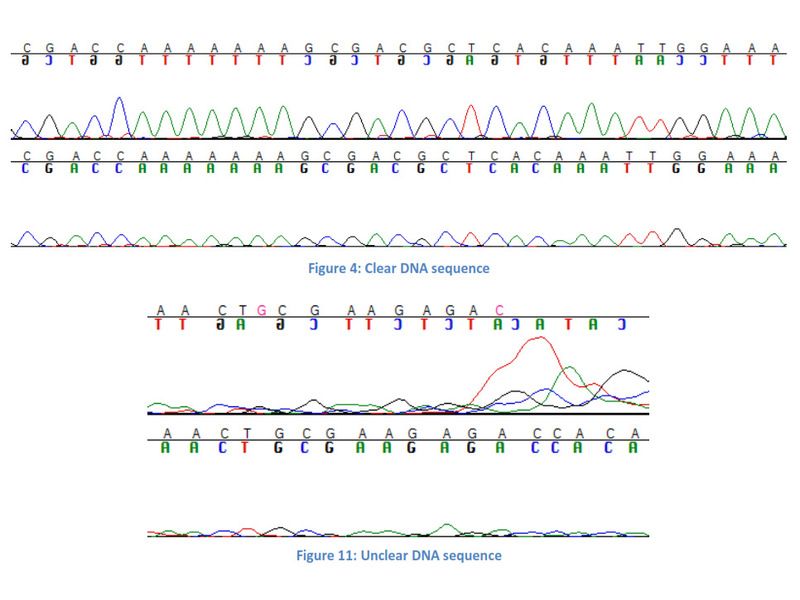 A new laboratory assistant has recently started at the Université Libre de Bruxelles, and she will be carrying out further lab manipulations with adjusted DNA markers to get clear DNA readings from more of the samples.